Northern California offers up endless opportunities to enjoy nature. Northern California is known for its beautiful vineyards, natural scenery, and temperate climate, which makes it an ideal retirement destination for active adults. 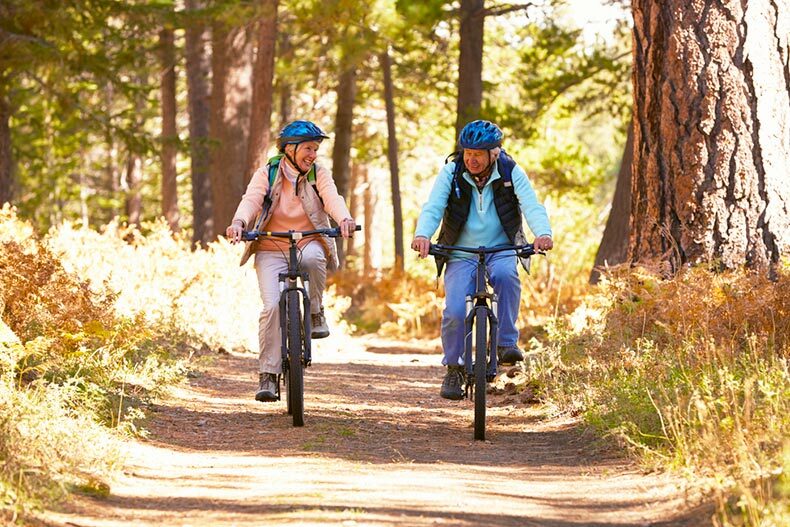 Not only does Northern California provide endless options for outdoor adventure, entertainment, and cultural attractions but it also has plenty of affordable active adult communities when compared to the southern parts of the state. Many of these 55+ communities offer resort-style amenities, reasonably priced homes, and a vibrant social environment that appeal to retirees who seek an active lifestyle. Northern California’s unique landscape also provides a variety of prime locations where these age-restricted communities can enjoy urban areas with modern amenities or tranquil, small-town settings. Check out these five affordable active adult communities in Northern California. This Northern California gem is located in the greater San Francisco Bay Area and offers an abundance of amenities along with new and resale homes at attractive prices. Homebuyers can choose from a wide selection of single-family homes that come in different styles and sizes and start in the high $200s. Builder Shea Homes offers a great lineup of elegant and spacious floor plans ranging in size from just over 1,200 to 2,397 square feet. In addition to beautiful, energy-efficient home designs, homeowners also have access to three amenity centers including the 27,000 square-foot Vista Club, the 7,000 square-foot Delta Club, and the Rio Vista Golf Club that features an 18-hole golf course. Retirees looking to retire in the city of Sacramento will fall in love with Four Seasons at Westshore. This active adult community offers new construction homes starting in the low $300s. Builders K. Hovnanian and Lennar Homes both offer new and resale single-family homes and this 55+ community will include 533 single-family homes upon completion. Buyers can find multiple floor plan collections that feature energy-efficient construction, spacious layouts, and luxurious fixtures throughout. Residents also enjoy resort-style amenities that keep them physically fit and socially active. The Lodge is a 22,000 square-foot clubhouse that features a fitness center, aerobics and dance studio, movie theater, card room, ballroom, billiards room, and arts and craft studio. Outdoors, homeowners have a sparkling pool and spa, multiple sports courts for tennis, bocce ball, and shuffleboard, and a 26-acre lake that’s perfect for spending time among nature. Sun City Roseville is an established 55-plus community just 20 miles northeast of Sacramento, which appeals to many retirees. This active adult community was developed by premier builder Del Webb and consists of 3,110 single-family homes. Buyers can choose from a great selection of resale homes with pricing in the mid $300s and that range in size from 878 to just over 2,600 square feet. Single-family homes have one to three bedrooms, one to three bathrooms, and an attached garage. Sun City Roseville is an attractive active adult community thanks to its abundance of indoor and outdoor recreational facilities and rich amenities. The community’s central hub of socialization is the 52,000 square-foot Timber Creek Recreation Lodge. It features a restaurant, state-of-the-art fitness center, pro shop, hobby rooms, ceramics studio, billiards room, and computer lab. Residents make the most of the sunny weather by taking a refreshing dip in the outdoor pool or playing a round of golf at the 18-hole Timber Creek Golf Course. Active adults will find affordable detached homes in this 208-home age-restricted community. The Vineyard in Redding, CA, offers quality built single-family homes that start in the low $200s and range in size from approximately 1,200 to 2,400 square feet and feature spacious layouts with three to four bedrooms. This 55-plus community also provides residents with a charming clubhouse filled with indoor and outdoor amenities for an active and vibrant lifestyle. Homeowners come together at the clubhouse’s gathering areas like the card room and ballroom or stay healthy by swimming a few laps in the outdoor pool or playing a game of bocce ball or shuffleboard. The Vineyard is also a welcoming environment where neighbors build lifelong friendships thanks to the community’s organized clubs and activities like bowling club, coffee chat, bingo, and painting club. Ideally located near historic downtown Folsom, Diamond Glen is a charming and tranquil active adult community with reasonably priced single-family homes in the high $300s. Homes are situated in a park-like setting surrounded by mature trees and paved trails that wind throughout the neighborhood for a serene environment. Not only do residents of Diamond Glen enjoy well-built homes, but they also enjoy extensive amenities for a social and active lifestyle. The community’s clubhouse is the focal point where neighbors gather for social events, activities, and recreation. Some of the amenities include an exercise room, card room, library, catering kitchen, billiards, table tennis, outdoor pool, tennis court, and BBQ area. Diamond Glen’s small-knit environment is also ideal for residents to mingle and share similar interests. The neighborhood offers a great selection of activities, clubs, and events that keep residents’ social calendars full all year long.